With over two decades of experience machining precision plastic and composite parts for the Aerospace & Defense industry, AIP Precision Machining knows that weight and strength are critical for your flight-ready hardware. That’s why we’ve carefully selected, machined and tested all our thermoplastic materials to various aerospace and defense industry standards. Our lightweight polymers and composites have stable chemical and corrosion resistance, as well as improved strength to weight ratios when compared to exotic alloys and non-ferrous metals. AIP’s polymer and composite materials maintain their properties even at high temperatures. Here are some specific examples of thermoplastic materials commonly used in the Aerospace & Defense industry. 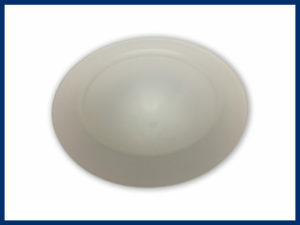 ULTEM has one of the highest dielectric strengths of any thermoplastic material. This enables ULTEM to work very efficiently as an electrical insulator. Being resistant to both hot water and steam, ULTEM can withstand repeated cycles in a steam autoclave and operate in high service temperature environments (340F or 170C). ULTEM also has one of the lowest rates of thermal conductivity among thermoplastics, allowing machined ULTEM parts to act as thermal insulators. ULTEM is FDA and NSF approved for both food and medical contact, making it an excellent choice for aircraft galley equipment such as ovens, microwaves and hot or cold beverage dispensing systems. Finally, its UL94 V-O flame rating with very low smoke output makes this material ideal for aircraft interior components. CELAZOLE provides the highest mechanical properties of any thermoplastic above 400F (204C) and offers a continuous use operating temperature of 750F (399C). This impressive lightweight material has outstanding high-temperature mechanical properties for use in aircraft engines and other HOT section areas. 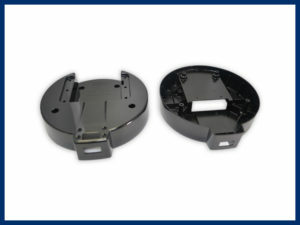 These properties include good fatigue resistance, compressive strength, wear resistance and electrical insulation. After being submerged in hydraulic fluid at 200°F for thirty days, CELAZOLE retains 100% tensile strength. RYTON’s inherent fire retardancy, thermal stability, and corrosion resistance make it perfectly suited for aerospace applications, while its dimensional stability means even the most intricate parts can be manufactured from RYTON with very tight tolerances. 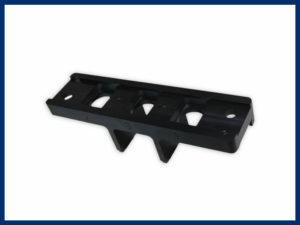 RYTON is typically used for injection molded parts; however, there is limited availability of extruded rod and plate for machining. Like RYTON, VESPEL is dimensionally stable and has fantastic temperature resistance. It can operate uninterrupted from cryogenic temperatures to 550°F, with intermittent to 900°F. Thanks to its high wear and friction resistance, VESPEL performs with excellence and longevity in severe aerospace environments. 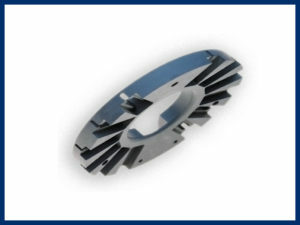 VESPEL is a trademark material of DuPont and can be provided in direct formed blanks or finished parts directly from DuPont. 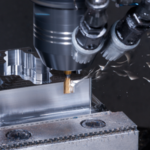 AIP has provided precision machined components from DuPont manufactured rod and plate stock. 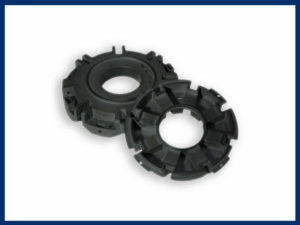 You can typically find VESPEL used in high temperature and high-speed bearing and wear applications, such as stator bushings. DURATRON PAI’s extremely low coefficient of linear thermal expansion and high creep resistance deliver excellent dimensional stability over its entire service range. PAI is an amorphous material with a Tg (glass transition temperature) of 537°F (280°C). 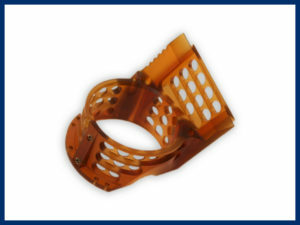 DURATRON PAI stock shapes are post-cured using procedures developed jointly by BP Amoco under the TORLON trade name and Quadrant under the DURATRON trade name. PAI components fabricated from extruded shapes that require optimization of chemical resistance and/or wear performance often receive a post-curing cycle. You can find TORLON parts in structural, wear and electrical aerospace applications. TECHTRON has essentially zero moisture absorption, which allows products manufactured from this material to maintain extreme dimensional and density stability. 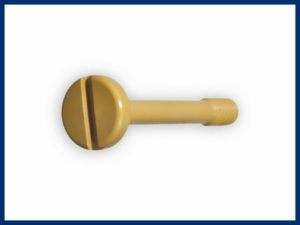 PPS is highly chemical resistant and can operate while submerged in harsh chemicals. Additionally, TECHTRON is inherently flame retardant and can be easily machined to close tolerances. 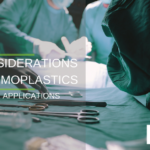 PPS has a broader resistance to chemicals than most high-performing plastics, as well. TECHTRON can work well as an alternative to PEEK at lower temperatures for this reason. 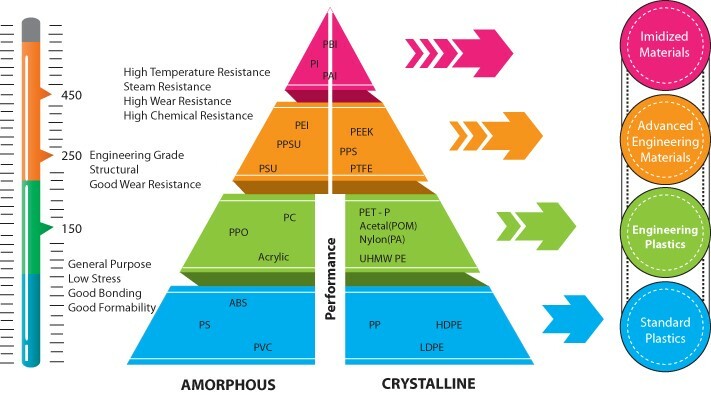 With high heat and high impact performance, RADEL delivers better impact resistance and chemical resistance than other sulfone-based polymers, such as PSU and PEI. Its toughness and long-term hydrolytic stability mean it performs well even under autoclave pressure. Importantly, RADEL R5500 meets the stringent aircraft flammability requirements of 14CFR Part 25. These allow the aircraft design engineer to provide lightweight, safe and aesthetically pleasing precision components for various aircraft interior layouts. RADEL can also be polished to a mirror finish and is FDA and NSF approved for food and beverage contact. Kel-F is a winning combination of physical and mechanical properties, non-flammability, chemical resistance, near-zero moisture absorption and of course outstanding electrical properties. 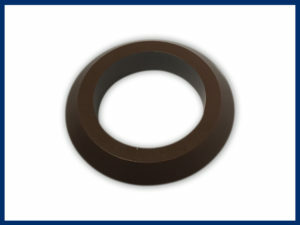 This stands out from other thermoplastic fluoropolymers, as only Kel-F has these characteristics in a useful temperature range of -400°F to +400°F. In addition, it has very low outgassing and offers extreme transmissivity for radar and microwave applications. Many aircraft and ground-based random applications use Kel-F. PEEK can be used continuously in temperatures of 480°F (250°C) and in hot water or steam without permanent loss of physical properties. For hostile environments, PEEK is a high strength alternative to fluoropolymers. PEEK carries a V-O flammability rating and exhibits very low smoke and toxic gas emission when exposed to flame. 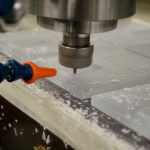 These aren’t the only reasons that PEEK is an increasingly popular choice for metal replacement in aerospace, however. 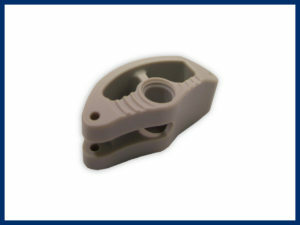 Many manufacturers prefer PEEK for its lightweight nature, mechanical strength, creep and fatigue resistance, as well as its ease of processing. These and other exceptional physical and thermal characteristics make PEEK a versatile thermoplastic polymer for many aerospace applications. AIP has provided flight control, fuel system, interior, engine and aerodynamic-related PEEK components for various aircraft OEM and MRO providers worldwide. 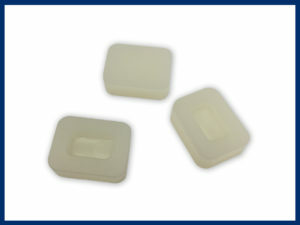 Another example of thermoplastic materials used in aerospace and defense is KYNAR, or PVDF. This polymer has impressive chemical resistance at ambient and elevated temperatures, as well as good thermomechanical and tensile strength. KYNAR is extremely durable due to its weather-ability and toughness even in the most severe environments. In addition to being flame-resistant, KYNAR is easy to machine, too. You can typically find KYNAR components in pipe fitting and various fuel or other fluid related precision manifolds or connectors.